When I was a kid playing baseball, we always had one fan who was the guy who lived just off the right field foul post. His house bordered the ball field and it seemed he always had time to come and enjoy the games with us, and this was well after his kids had played through little league. 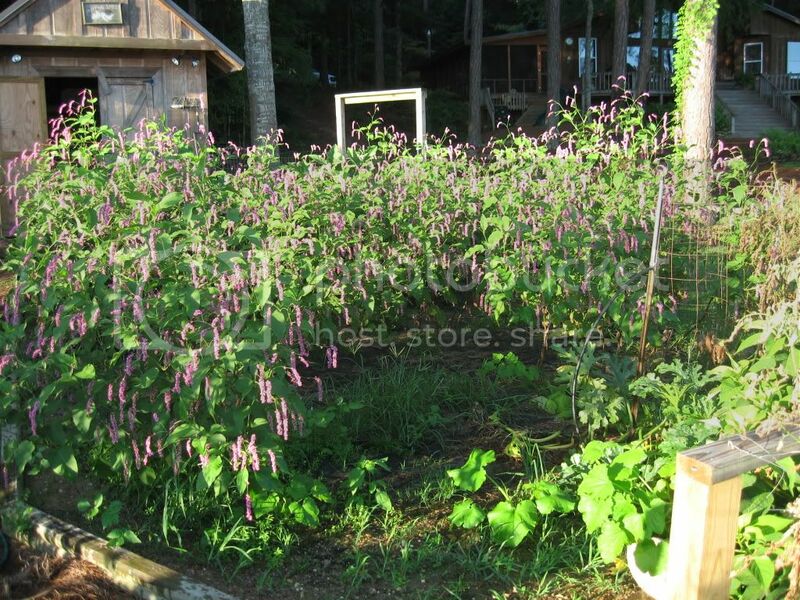 He had his garden between the ballfield and his house. It always happened, one, two, three times a game someone would hit a foul ball and it would land in his garden. In those days we did not have many spare baseballs, so the right fielder and first baseman, and others, would look for the ball. The man would always yell to them "Yall, be careful in them weeds, thars a garden under there somewhere"
I'll never forget hearing him say that. And now I can say, "Thars a garden under them fliers somewhere" I must say I think the flowers have given some needed shade during our hot summer. For 53 out of 54 days we have been above 90, and it was 89 the one other day. I say wow, built in shade soldiers! This looks like a gardener that has no fear I might add. I get easily spooked if a grasshoppers jumps out at me. Hey, if it works for you, then awesome! Like another poster said, better flowers then weeds. Look at it this way, you'll probably attract a lot of pollinators. Lovely! Mine aren't as nice as yours but butterflies and bees love polygonums and I let some grow in various parts of my garden as well. Birds come after the seeds later on, too. Unfortunately, Japanese beetles like the leaves and some of mine are looking like Swiss cheese! 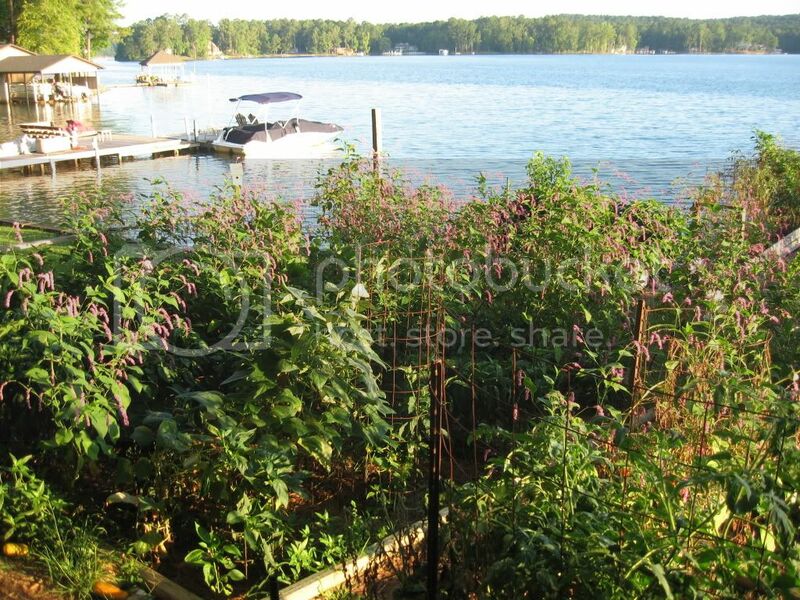 I've always wanted a big swath of persicaria like that, but never been able to get it. What's your trick? 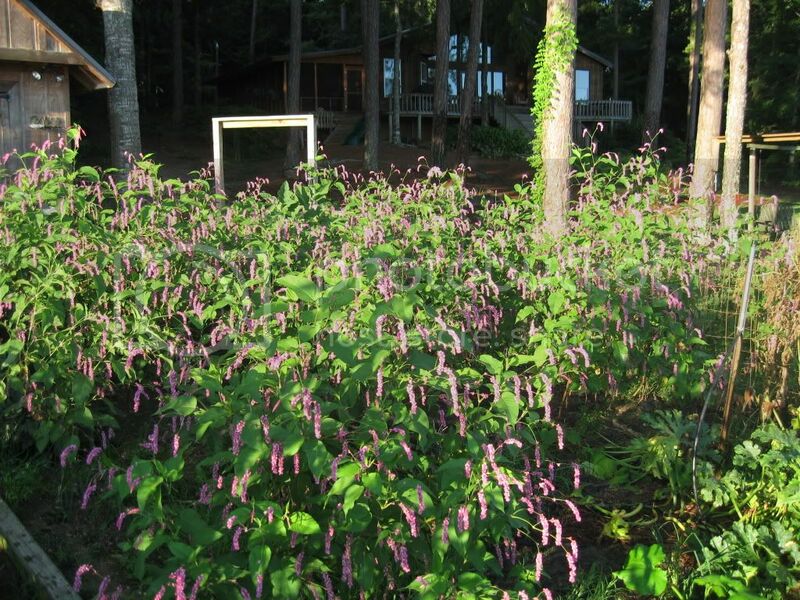 microcollie wrote: I've always wanted a big swath of persicaria like that, but never been able to get it. What's your trick? They come back from seed every year. I just leave some plants, the ones that are in rows already. This year I left too many.